We’re here to help with your full or partly bathroom remodeling project! Tired of your bathroom look? Or is your bathroom in a desperate need of renovation? 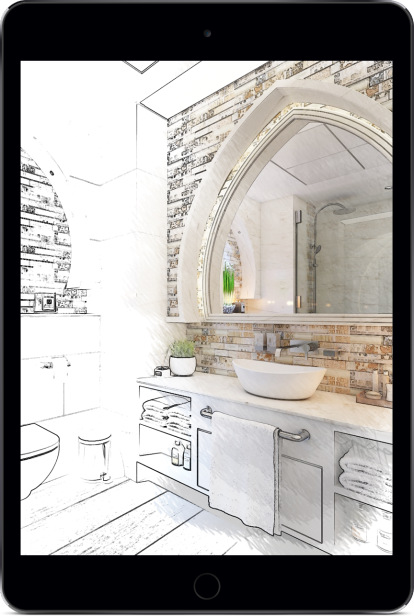 ViSign Remodeling in Atlanta can help you design and remodel your bathroom completely and transform it into a unique and modern space where you refresh and relax with pleasure after a hard day’s work. With the vast choice of vanities, bathroom countertops, tiles, fixtures, mirrors and other bathroom accessories from top vendors, we can help you channel your vision and creativity and come up with a distinctive design that reflects your individuality and lifestyle. Our hard-working and experienced team of bathroom remodelers are fully qualified to perform bathroom cabinet installation, bath repairs, bathroom plumbing, shower doors installation, bathroom tile wall and floor fitting services and more. They use modern equipment to do each home renovation or repair task with perfect results. From the initial free consultation through creating the design to completing your entire bathroom remodeling project – the experts will keep you informed during every phase. They will make sure that each detail is finished in a professional manner, regardless of whether you wish to expand your bathroom storage space, replace chipped and dated-looking floor tiles or you fancy installing a new walk-in bathtub. 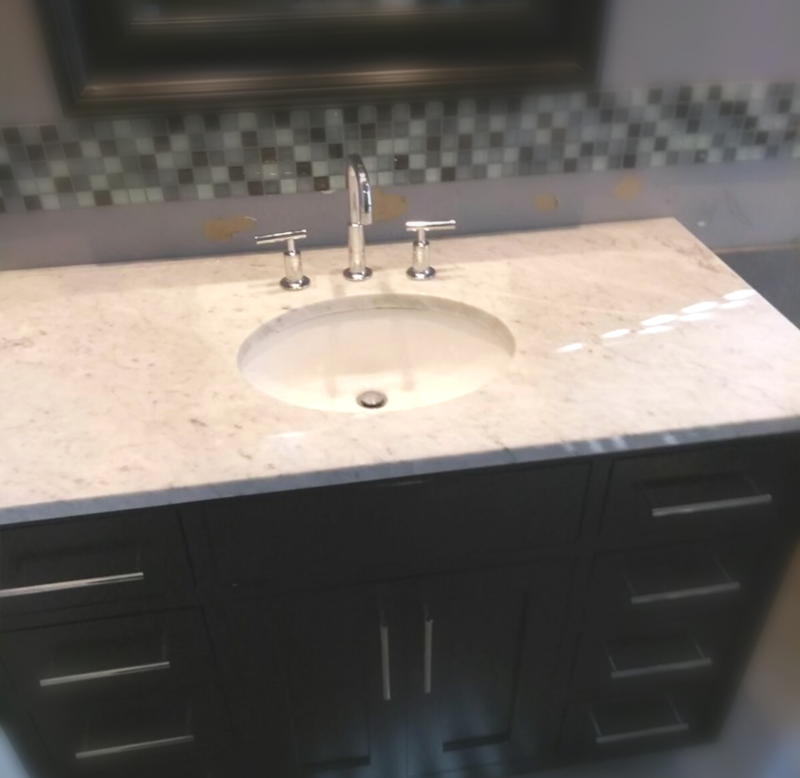 When deciding on your new bathroom vanity, complete with a beautiful mirror, modern natural stone countertop and a functional cabinet storage, it is important to consider how it would fit in with your existing tile color scheme, available bathroom space and whether it would clash with the style of the rest of your bathroom fixtures. This is where the specialists at ViSign Remodeling can be your trusted partners and help you select the perfect piece before proceeding with the installation. They will assemble and install the furniture unit, whether the task requires plumbing expertise to connect a double sink or skills to carefully fit a very large mirror. The bathroom renovation technicians will also effortlessly replace your old shower, help with your new glass or fiberglass shower doors installation and fit any other bathroom fixtures and accessories to your exact requirements. At the end of the job, the professional remodelers will clean any mess and present you with a model bathroom for you to enjoy straight away. Any plumbing task calls for skill and experience to avoid shabby results and future costly damages and repairs. So, it’s best to leave the bathroom plumbing jobs to us and have a piece of mind that your new bath, shower, and sink are installed and connected properly. We also do shower and bathtub repairs, fix leaks and replace old fittings. Whatever your needs, we’ll send the right technician who is fully equipped and insured to sort out any type of bathroom plumbing accident, as well as fix your bath or shower mixer tap that is in need of repair. We also specialize in bathroom wall tile installation and bathroom floor fitting services. 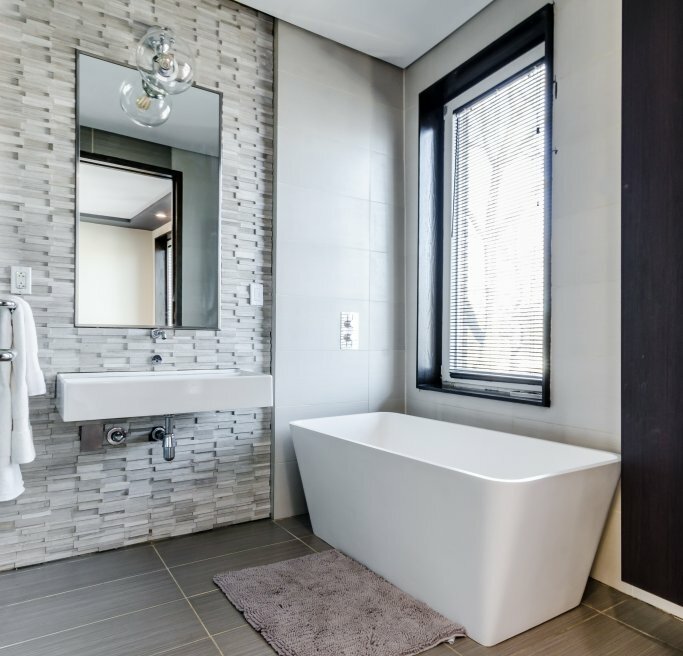 The ViSign Remodeling team will incorporate your bathroom renovation ideas and if you need to, advise you on the right tile color scheme to achieve the desired bathroom mood, style, and overall look. The tile installation job will be done with precision by paying a special attention when fitting the tiles around plumbing connections and other bathroom fixtures. The professional tilers will also do a grand job if your design involves fitting listello-border tiles, where skill and accuracy are vital to complete the pattern with a perfect finish. The grout lines will be applied with care and up to the highest standard to get that showroom feel and clean look of a modern and inviting bathroom. Schedule your bathroom redesign appointment today at (470) 795-2235 and we’ll take care of every aspect of your project!